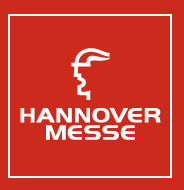 LF Edge will be on-site at Hannover Messe on April 1-5 in Hanover, Germany. The event is the world’s leading Trade Fair for Industrial Technology. All key technologies and core areas of the industry from research and development, industrial automation, IT, industrial supply, production technologies and services to energy and mobility technologies can be found at this groundbreaking event. EdgeX Foundry, a project under the LF Edge umbrella, will have its building automation demo at the Dell Technologies booth. The demo will highlight the EdgeX framework’s ability to bring together heterogeneous solution components and will showcase how EdgeX can bring together a real-world, smart flexible office space environment based on components from a variety of vendors leveraging numerous connectivity standards, operating systems and hardware types. You can see the live demo at the Dell Technologies booth, located at Hall 6, Stand C40.